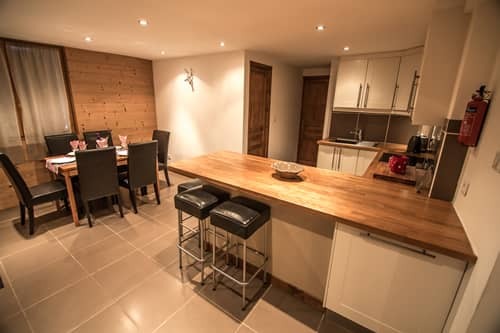 We have a range of properties to meet all tastes.....The Traditonal styling of Chalet Frahans compliments it's modern feel. PureChalets specialise in offering fully catered winter ski and snowboarding holidays in the charming alpine village of Samoëns, in France. Apartment Bobeau is a catered apartment for small groups and families. 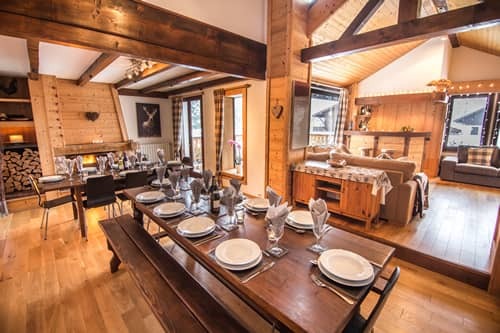 The apartment is situated on the ground floor of our larger Chez Bobeau and can be rented with the chalet or as a self-contained apartment with separate entrance. 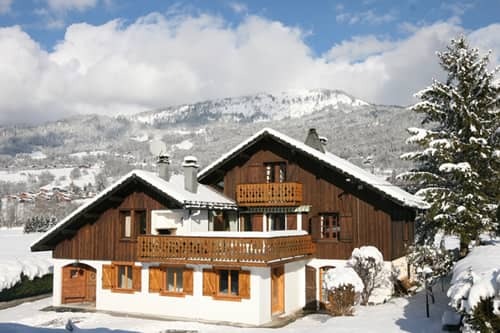 Chalet Frahans is a stunning and spacious 4 /5 bedroom chalet ideally located between the village and the ski lift. 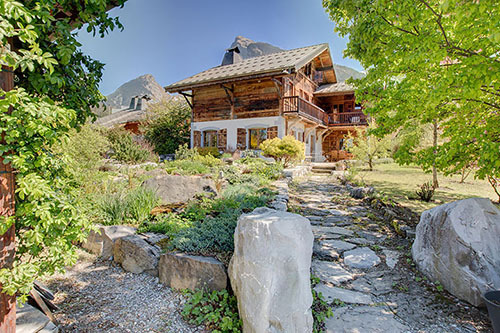 An absolutely beautiful chalet, built with charming touches in wood and stone, only a 2 minute walk from the centre of Samoens. 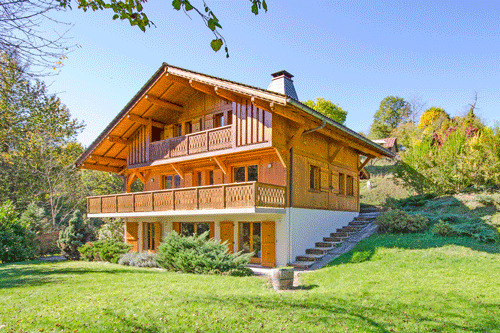 A gem of a luxury chalet, in a peaceful location, but only a 5 minute walk on flat land to the centre of Samoens, perfect for large family groups. 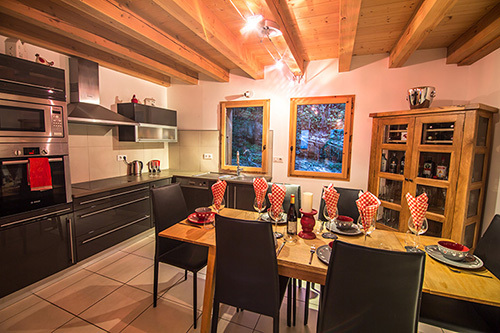 Chalet-apartment Eridan E2 is a stylish 3 bedroom en suite apartment. A beautiful south facing balcony off the living room offers fantastic views over the village. An ideal location for small groups or a family gathering. Established in 2005, PureChalets is privately run by Liz and Andy Stoves. We now have more than thirteen years’ experience crafting unforgettable chalet holidays in Samoens, in the French Alps. 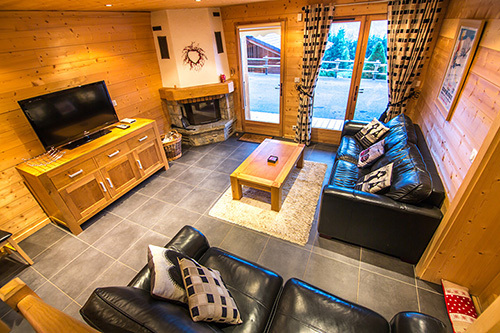 All of our chalets are in fantastic locations, never more than a 5-10 minute walk to the centre of Samoens. Our chalets are available on either a catered or self-catered basis. On a catered holiday, you really don’t need to lift a finger whilst we do all the cooking and cleaning. On a self-catered holiday, take advantage of our fantastic services and discounted activities, as well as luxury touches in the chalets. We have kept our prices in pounds sterling for your ease and transparency, and we strive to provide 5 star services at affordable prices. The Grand Massif is the 4th largest linked ski area in France, connecting the resorts of Samoens, Flaine, Les Carroz, Morillon and Sixt. With over 265km of pistes, rising to 2500m, stunning views of Mont Blanc, and 80% of the pistes being north facing, the Grand Massif is a real gem. Geneva airport, serviced by many airlines including EasyJet, is just one hours drive away. As a PureChalets guest, take advantage of great reductions on ski equipment hire and discounted lessons. Samoens is also a perfect destination for a summer holiday; it has an alpine charm that makes many guests return again and again. The temperatures sit on average in the mid-twenties, and there are endless mountain activities to enjoy – walking, hiking, mountain biking, rafting, tennis or simply enjoying what the village has to offer. We are based in Samoens, our home, all year round. We are on hand at all times to help you book activities or offer advice, in order for you to enjoy a fantastic holiday. Having been trading since 2005, we look to provide 5 star services at affordable prices. Our aim is to ensure you have the most relaxing and enjoyable catered holiday from beginning to end. We pride ourselves on our food at PureChalets. We deliver delicious and plentiful food, 6 nights of the week in winter season, and 5 nights in the summer. Samoens is a familiy friendly resort and we want to make your skiing holiday experience with children as simple as possible. We are a fully licensed transfer company and can organise your return transfers from Geneva to Samoens. Booking restaurants, ski lessons and summer activities, helping with the laundry or making sure you celebrate that special birthday in style!
" Another great holiday. Thank you for great food and a lovely stay. " " With the table footy, hot-tub, PS2, games (especially Trivial Pursuit) and the DVDs, it was hard to want to go to bed. Lovely food, friendly service and very comfy chalet. Don't want to go home. " " First time skiing, won't be the last! Excellent food, company & hospitality. see you next time! Thank you x "
" We have had a wonderful week here and are sorry to be going home! Our hosts have done us proud with delicious food and a warm welcome. Andy & Liz have provided a lovely chalet with really comfortable beds!. Many thanks. " " Thank you guys for looking after us so well. The food was absolutely beautiful the best I have ever had in chalets! The staff were so friendly attentive and nothing was ever a problem or too difficult. 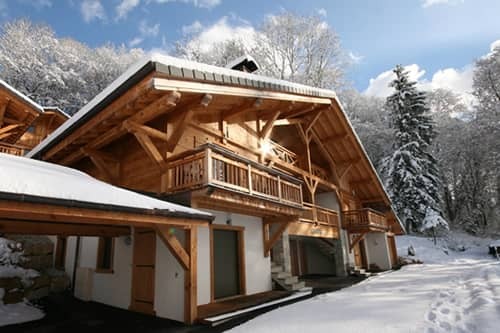 The chalet is stunning and close to the lift which is incredibly convenient for small kids. Thanks Andy and Liz for putting up with all our requests! Hope see you soon "
" A lovely chalet - we really enjoyed the food, the hot-tub, the kids loved the games room and Samoens is a great resort! Thank you for looking after us so well, you made our holiday a great experience! "